Last May, I became department chair at Miami Dade College InterAmerican Campus, but what I loved even more than being a World Language administrator in higher education (my first full-time job at a college), was that I got to go back to the classroom and teach. In the three years that I was gone, I had learned a ton. I learned that most of what I did right, I did because of instinct. I learned that how you make students feel in your class is as important as what you do. I learned that if you don’t question that you do, you will never change. And most importantly, I learned that if you don’t embrace change, you will not grow – and stagnant is not a word I like. In January, I got to teach students for the first time in four years, and, to be honest, I went back to 2011 me. I think I did a decent job with my Japanese 1120 and 1121 students, but I quickly realized that I was just getting by. I would say I tried innovation light – using an LMS for my class, creating meaningful projects that appealed to my students’ desire to be creators of products, but also relying on my textbook as my curriculum and unwilling to leave behind grading methods that tell students “You got an A” which, let’s face it, means next to nothing. Shared ownership of the learning process promotes success. One of the most important things that I wanted to do in my classroom was to change the ownership of learning. I always said to teachers, “Do your students know what is going on in your classroom? If you ask them what they are doing and why, can they tell you?” In an effort to share ownership of learning, I changed the way I communicated with my students. Now, I use can do statements to frame the learning that we do. The focus of these statements is always on communication, never on linguistic structure. Be it using stamp sheets to let students know what is expected or sharing can do statements as a way of framing a lesson, our goal is always clear and measurable. I also changed my grading to standards-based grading by sharing rubrics with my students that describe what they can do with the language, rather than giving them a letter grade. Gone are the papers marked in red pen that point out all your errors, instead there is wording that focuses on what you can do and how you can grow in your proficiency. Not only do my students reflect and self-assess using these rubrics when they do an assessment, they also allow me to give them richer feedback on their performance. It’s messy, I’m not perfect at it, but it’s worth the try. And guess what? No one is failing – and, in the end, isn’t that what we all want? Tech nology is a friend of change. I am teaching my class using BlackBoard as my LMS in a web-enhanced format. We meet twice a week for an hour and forty minutes, but once we leave the classroom, I turn to technology. Using an LMS has allowed me to grow as a teacher, and my students are now used to asking, “What are we getting to try this week?” So far, some of the most popular things have been using the Conversations feature from to capture a simulated conversation with MSU’s Conversations, creating an interactive video about education in Germany using EdPuzzle, keeping a student Wiki which students update weekly (and which they peer edit) that includes recordings using Vocaroo, and using LMS features such as surveys, quizzes, and discussion boards to share ideas about learning German. I am constantly looking to learn about more tools to try out, and I am reminded of statistics that show that while millennials want more technology, many professors are digital immigrants working at analog institutions. I remind myself that technology cannot be an extension of old ways of teaching, but rather the vehicle that drives innovation to extend the time that you have with students beyond the four walls of the classroom. 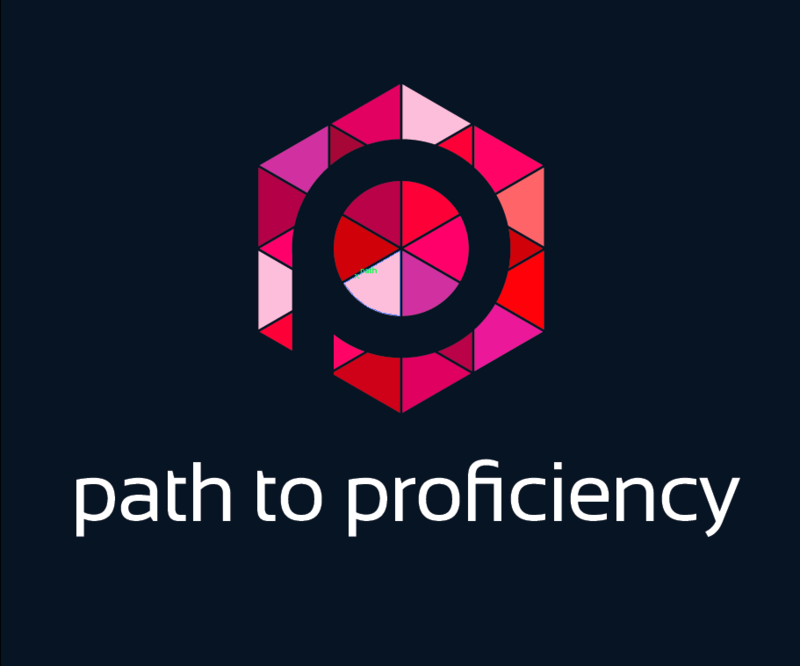 Focusing on proficiency helps you focus on the why. If you’re reading this, you are probably someone like me: someone who is looking to do something they do well even better. What I love about our profession is that when I reach out to people, their answer most often is, “Yes, how can I help?” So if that’s you, either the helper or the one who needs the help, give yourself a pat on the back for always wanting to do better, to keep growing and to learn more. I’m right there with you.